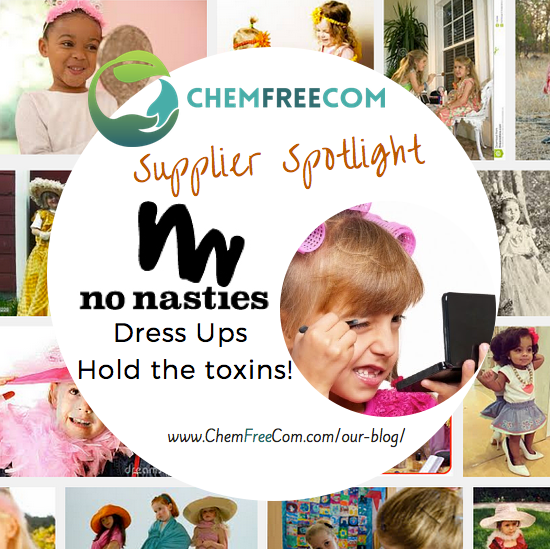 Dress Ups – Hold the Toxins! 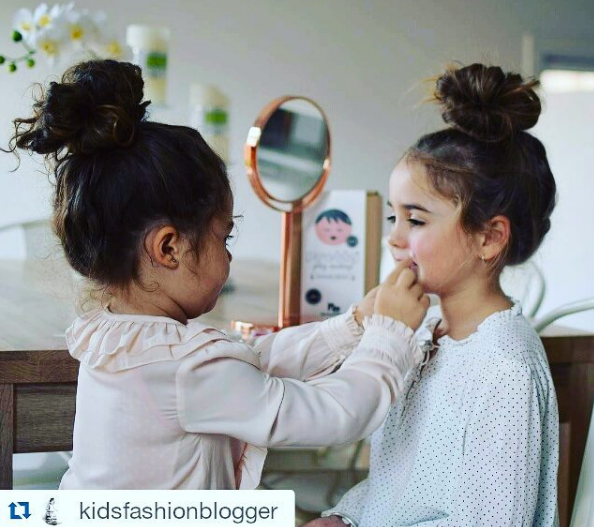 Disgusted to read that the ingredient list on her daughter’s play make-up included colours, synthetic dyes, talc, mineral oil, parabens, preservatives and other toxic ingredients, Natalia Michael decided to create her own range for her daughter. Never did she think it would lead to a blossoming business. 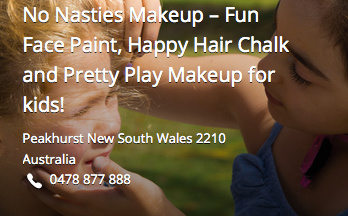 No Nasties Makeup are Australian manufacturers of all natural face paint, hair chalk and pretty play makeup sets. We are wholesalers and retailers and all of our items are handmade in Sydney. We will be expanding into a few other ranges in the coming year too! 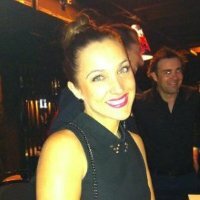 I suffer from 43 medium to high grade allergies and made the switch to all things natural about 4 years ago now when my health really took a dive. I started looking into what my family were eating and drinking at first and moved to organic foods and natural treatments for our health and home. I then made the switch to all natural cosmetics and started to research and learn more and more about additives and the more I understood, the more alarmed I was at what I had been using topically in my cosmetics and toiletries products. We are an Australian made and owned business and all of our products are handmade made from all natural ingredients which are gentle on sensitive skin. 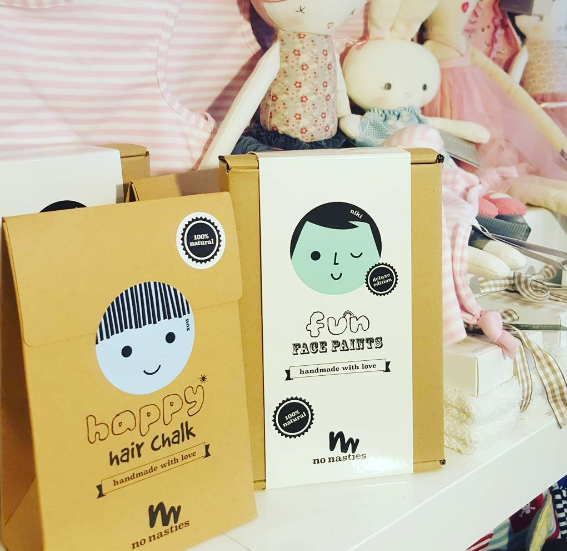 Our colour palettes are age appropriate with bold and bright colours for face paint and hair chalk and pretty, shimmery pastels for pretty play makeup. Our gift worthy packaging is made from 100% recycled card and gorgeously eye catching. Taking time to get everything perfect before launching! This has included educating myself, making test products and liaising with manufacturers for packaging and ingredients. Educate yourself! The more you understand about the ingredients or additives in products, the easier it becomes to scan ingredients quickly. You will soon realise that many of the “natural” products on the shelf are actually topped off with chemicals and unnatural preservatives. What you find may really surprise you! Also, look for natural alternatives to products you use often and if you can’t find them, reach out to all natural retailers and ask if they can source it for you. That Red House – Organic Natural Soapberries.